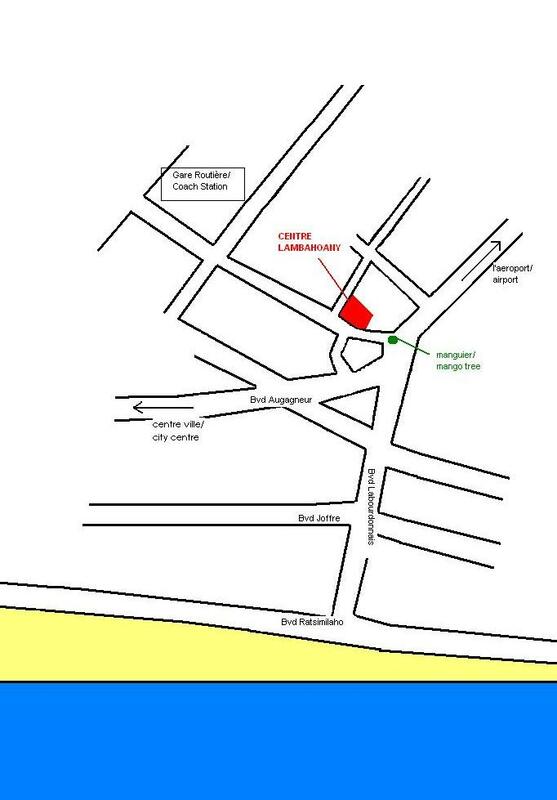 You will find Centre Lambahoany at the Boulevard de la Liberté in the neighbourhood Tanamakoa. It is a 10 minute walk from the Coach station (gare routière), you’ll find a sign directing you to the Centre. The airport is a 15 minutes drive. Call or mail us in advance and we’ll pick you up.